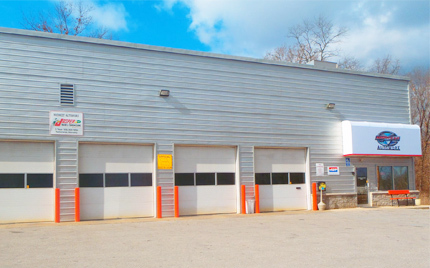 Welcome to Midwest Autoworx, your one-stop shop for complete auto repair service in Boonville and Columbia. Our highly-skilled auto mechanics in both locations are experts in the auto repair industry. No job is too small or too large. At Midwest Autoworx in Boonville and Columbia, we take great pride in delivering exceptional auto repair and customer service. We’ll fully inspect your vehicle to ensure you have a big picture perspective regarding its condition. That way you can make informed decisions moving forward. Commitment to 100 percent customer satisfaction. The job’s not finished until you’re 100 percent satisfied. “These guys are great. They put time into figuring out car issues and making sure it's done right. One thing they do that I love is they show you where your car has a problem, when possible, which shows how honest and forthcoming these guys are. One area they far exceed other car shops in is communication. James is great. He kept me posted on everything that was happening and everything the mechanics figured out as they figured it out. My car had multiple issues another car shop around the corner couldn't figure out and didn't want to put the time into figuring out, and it turns out one of the issues was really dangerous. I have a baby very shortly on the way, so I'm very thankful Midwest actually cared. Great team. I've had exceptional service every time I've been to them.” -- Rachel L.
Call Midwest Autoworx if you have questions about your vehicle or schedule an appointment online. We’re located at 2001 Rangeline Street in Columbia, MO 65202 and 1300 W. Ashley Road in Boonville, MO 65233. At Midwest Autoworx, our top-notch auto mechanics look forward to taking care of you, your vehicle and all your auto repair needs. Our Columbia Location Is Expanding To Meet The Growing Needs Of Our Satisfied Customers! !